Golden Blossom Honey. If you celebrate the New Year with champagne or other bubbly, how about some champagne mini cupcake to take a sweet bite of the new year? This recipe is from Golden Blossom Honey, a fourth generation family company whose honey is 100% American-made (not cheap Chinese imports). Their signature proprietary blend combines honey from three different flowers: clover, orange blossom and sage buckwheat*. 1. PREHEAT oven to 350°F. In a medium bowl mix flour, baking powder and salt. 2. BEAT butter in a separate bowl on medium speed; gradually add sugar. Add eggs one at a time, then add honey, orange juice and champagne. Gradually add the mixed dry ingredients. Once combined, fold in orange zest. Delicious bubbly for less than $10 a bottle. Photo courtesy Martini & Rossi. 3. 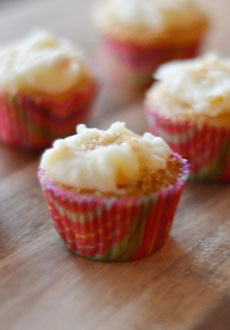 LINE mini-cupcake tins with paper cups and pour batter evenly into each. Bake for 20-25 minutes or until golden brown. 4. MAKE the frosting. In a large bowl whip powdered sugar, butter, champagne, orange juice, and orange zest on medium speed. Spread onto cupcakes and sprinkle with colored sugar, edible glitter or dragées. WHAT CHAMPAGNE SHOULD YOU USE? You can use any champagne you like. The champagne is more of a “romantic” ingredient in the recipe; the cupcakes won’t taste like Dom Perignon (about $200), Roderer Cristal (about $250) or even the “bargain”-priced Veuve Clicquot Non Vintage Brut Yellow Label (about $45). A $20 bottle will do, and a sparkling wine that isn’t from France will do. We enjoy two California sparklers made by great French champagne houses: Roederer Estate Brut, Anderson Valley and Mumm Napa Brut Prestige both about $20. 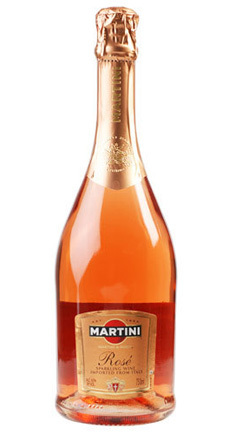 Yellow Tail Rosé from Australia is just $8 and and Martini Asti Rosé from Italy is about $15 (and you can find it in splits); they work great in this recipe. “While I’ve never heard of “sage buckwheat” honey, it’s possible that the bees could be visiting both sage blossoms and buckwheat blossoms, gathering the nectar and bringing that back to the hive. This would result in a cross between the two floral sources and thus, a mixture in the honey. Honeybees travel in a five mile radius, so if both plants were growing the that five mile area, then I’m assuming it could be possible.